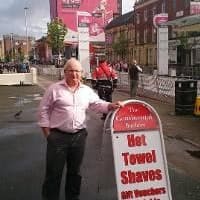 Are you looking for a haircut in Belfast? 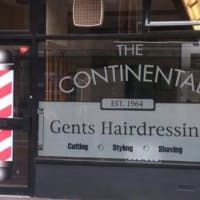 The Continental Gents Hairdressers is here for you. 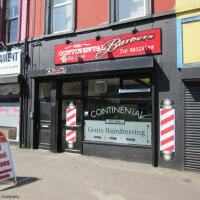 If you are looking for a barber shop in the city of Belfast, The Continental Gents Hairdressers on Great Victoria Street has the salon expertise to perform traditional haircuts, and to create contemporary styles for the modern gentleman. 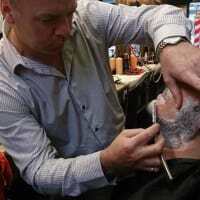 Being established since 1964, we can cater for all aspects of gents hairstyling. 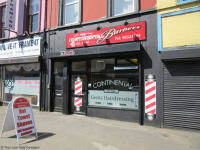 I have not a haircut anywhere else except The Continental in the past 33 years and, although there may be less to cut these days (! ), Ted and Tom never fail to do the best possible job on what is in front of them. This is a small, "traditional" place - but keeping right up to date for all age groups - with a relaxed informal atmosphere and always the best of a good craic. The only place in town for me and highly recommended ! Discovered these guys recently and it's been a revelation. 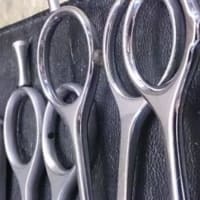 I love old school barbering and these guys are litterally hair doctors. The attention to detail is second to none and my hair cut is always perfect. Wouldn't go anywhere else now. Recommend highly, especially those wanting to recreate old pomp/quiff styles. Both guys are absolute gents as well. 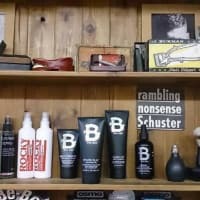 Great barberstaff who know their stuff, go here all the time and very pleasent place.